so don't miss out on your chance to win! or more during the month of October 2015! Here's the list to HOP AND WIN! Good Luck!!! 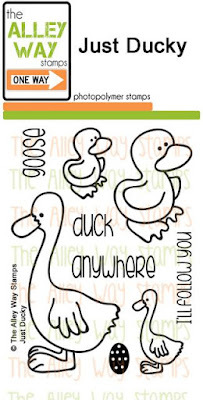 Here's my card for the hop and I'm using the images from Just Ducky set! So, are you ready to hop and win???!!! Adorable! I love the layout, the way you've colored the images, the vertically placed sentiment.....everything is just perfect! Super cute and unique. I love your bold colors! Love the little duckies! Great job on your card. Love the great colors in your card! So pretty and fun! Super cute card!! I love your panel and of course those cute ducks. Aww this is absolutely adorable! 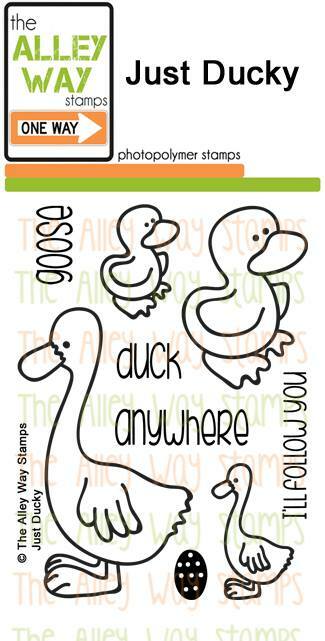 The little ducks are my favourite of the new release! Awww! this is so sweet. A real heart melter. The ducks are too cute in yellow.